The ATP World Tour Finals is essentially the last event on the men’s singles calendar in professional tennis. In a given year it can pack about as much excitement as a Grand Slam. The tournament features the top-eight players in the world by ranking (provided good health), and it awards enough points to occasionally alter the standings for the year-end number one ranking. Even the venue – lately, the O2 Arena in London – looks awesome on television, with the crowd kept in relative darkness and the photo blue court lit up like a stage. Matches sell out, players compete hard, and everyone seems to have a blast. There’s an aura to the Tour Finals. This year, a little bit of that aura was sapped before the event even began. With no disrespect to the players who qualified, the top eight was weaker than it ought to have been, because Novak Djokovic and Andy Murray missed too much time due to injury to accrue adequate points to gain entry. Stan Wawrinka qualified but pulled out due to his own injury issues, and Juan Martin del Potro was a top alternate (ranked 11th in the world) but also made himself unavailable for health reasons. We were left with a strong but somewhat unusual field consisting of Roger Federer, Rafael Nadal, Dominic Thiem, Alexander Zverev, Grigor Dimitrov, Marin Cilic, David Goffin and Jack Sock, (Sock, the ninth-ranked player, filled in as an alternate for Wawrinka, who was seventh). Federer and Nadal, the headline players of the event (and the entire 2017 season… and tennis history), somewhat ironically robbed it of additional drama. 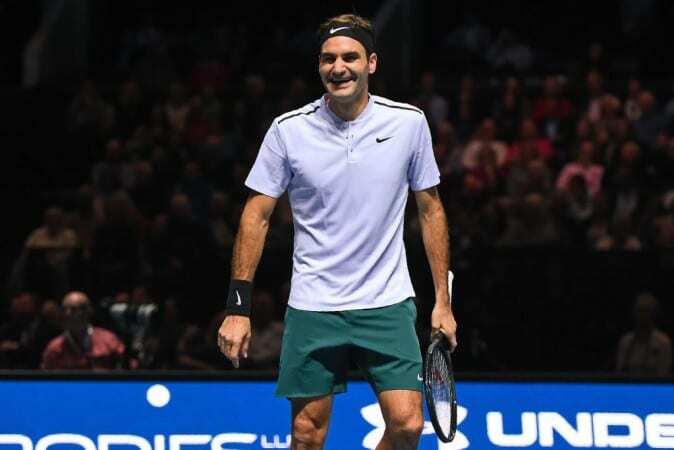 Federer did so by pulling out of the Paris Masters a few weeks ago to keep himself healthy – killing his own shot at the year-end number one ranking in the process. Nadal, for his part, entered the Tour Finals questioning his own health, and, with number one already in hand, pulled out after an opening loss to Goffin. Add it all up and we had no Nadal, no Djokovic or Murray, and no year-end number one on the line. By no means did this make it a dull tournament, but it did make it less meaningful than usual. Still there was some very good tennis played. Here’s how the action played out. The ATP Finals have an unusual format for a tennis tournament. The eight participating players are split into two groups of four, with each player playing everyone else in his group. Following these 12 total matches (and the implementation of a tie-break system if necessary) the top player from each group is matched up against the runner-up from the opposing group in the semi-finals, with the winners of course advancing to the finals. Matches are best-of-three sets, and it’s also worth noting that an undefeated winner earns more ranking points and prize money than a player who may lose a match in the group stage before going on to win the finals. In “Group Pete Sampras” (because tennis is too cool for “Group A”), we had Nadal (1), Thiem (4), Dimitrov (6) and Goffin (7), with Pablo Carreno Busta (10) ultimately filling in for Nadal. 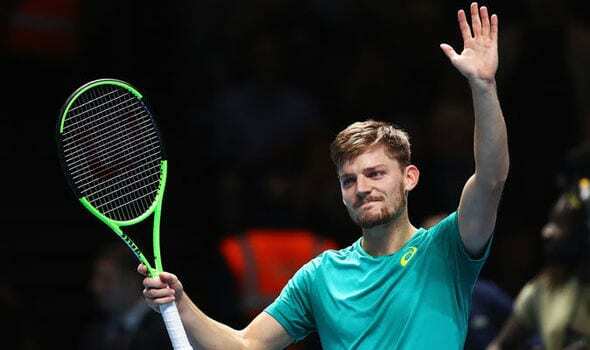 Goffin got the early statement win – a three-set victory over Nadal that effectively knocked the Spaniard out of the tournament. But it was Dimitrov who had the best showing. He took down Thiem 6-3, 5-7, 7-5 in what may have been the best match of the group stages, and then defeated Goffin and Carreno Busta with ease. Dimitrov won the group, with Goffin (who beat Nadal and Thiem) coming in second. “Group Boris Becker” was Federer’s to lose, and the Swiss took care of business. Federer beat Sock in two sets, then took care of Zverev and Cilic, winning 6-1 third sets in both matches. Cilic went winless, which ultimately meant that the deciding match was between Sock and Zverev (since both men beat Cilic and lost to Federer). This wound up being the biggest surprise of the group stage, with Sock besting the German sensation 6-4, 1-6, 6-4 to advance as the group runner-up beneath Federer. The semi-finals started with a shocker as Federer tripped up against Goffin. In six previous matches against the Belgian, Federer had dropped only two sets (out of 16). He essentially cruised through the group stage, and appeared poised to seize the championship without breaking a sweat (he’s never lost to Sock or Dimitrov, and for that matter he seldom sweats). But after Federer sprinted out to a 6-2 first set win on Saturday, Goffin battled back to win the next two. After the match, Federer implied that it had been bound to happen eventually, revealing that Goffin has “crushed” him on practice courts. In the other semi, Dimitrov also dropped a first set before coming back to overcome hopeful American Jack Sock (who has to be thrilled with reaching the semis in London). This set up a group stage rematch for the final. 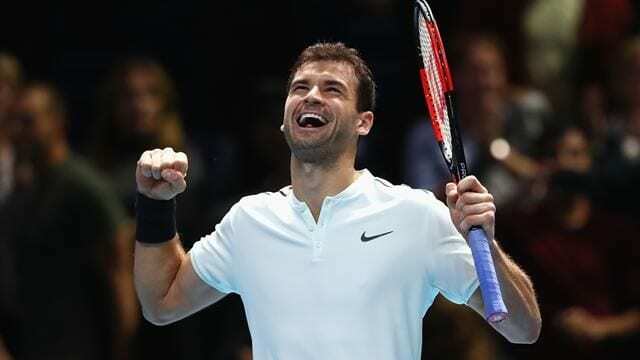 He had a harder time of it the second time around, but Dimitrov again got the better of Goffin on Sunday, breaking the Belgian midway through the third set and ultimately securing a 7-5, 4-6, 6-3 victory. It was a worthy final at the end of a somewhat odd tournament. So Grigor Dimitrov – the 26-year-old Bulgarian once labeled “Baby Fed” for his game’s similarity to Federer’s, and tabbed as a probable multi-Slam winner – is the 2017 ATP World Tour Finals champion. It’s probably the most prestigious prize in tennis that isn’t a Grand Slam title, and it’s inarguably the biggest win of Dimitrov’s career. But what’s next for Dimitrov and what did the Tour Finals tell us about 2018? I have absolutely no idea. I’m not going to get carried away with Dimitrov. After the U.S. Open I suggested he was part of a sort of lost mini-generation of would-be Slam champions and I can’t go back on that entirely – not when this win came against a weakened field and Dimitrov is 1-16 in his career against Nadal and Federer. Still, you can only beat the guys in front of you, and Dimitrov has now done just that at one of the biggest events in tennis. He deserves all kinds of credit and there’s a real chance that this could catapult him to new levels of confidence and poise. In 4,000 years when Nadal and Federer enter their twilights, Dimitrov could yet win a few Slams. Consider this: Andy Murray and Stanislas Wawrinka – our two greatest active champions beyond the Federer/Nadal/Djokovic trio – won their first slams at 25 and 28 respectively (and now have three apiece). Dimitrov is 26. The next Slam is January’s Australian Open, and Dimitrov got to the semis there in 2017, losing to Nadal in a five-set thriller. As for the whole of men’s tennis, the Tour Finals might have been a sort of microcosm of what’s to come. The fact that Nadal and Federer reclaimed supremacy by winning all four Slams in 2017 (and finishing first and second in the rankings) obscured just how much the ATP is changing. Popular opinion would hold that Federer, Nadal, Djokovic, Murray and Wawrinka are the five best players alive. Four of them missed this tournament because of health issues, and Federer played without a shot at the number one ranking because he’d previously lightened his schedule to avoid injury. Things are starting to open up, and that makes 2018 very intriguing. We have no idea when Djokovic, Murray, Wawrinka, and now Nadal will return to 100 percent health, or how good they’ll be when they do. There are also questions about the injury status of top-10 level players Milos Raonic and Juan Martin del Potro. We don’t know if Federer will summon the same incredible motivation that saw him earn his 18th and 19th Grand Slams this year. We don’t know if Zverev can seize a big moment, or if Dimitrov can top what we just saw in London with a Slam breakthrough in 2018. After so many years of “Big Four” dominance, the ATP in 2018 looks entirely unpredictable, and the World Tour Finals only reinforced that notion. It’s definitely a shame for the sport that so many good players are battling injuries. But they could all be back soon, and at any rate it will be fun to head into January with no idea what’s going to happen.